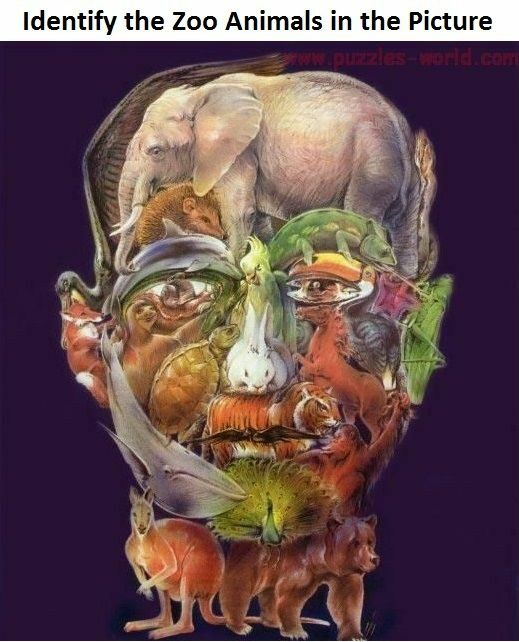 How many Zoo animals can you identify in the give Optical Illusion below. Look Closely as some animals are hidden and some are clearly visible. Identify the Zoo animals in the picture and comment its name below. Lets see how many animals can you identify and name them. Share the image and see how many animals can your friends identify.